A new novel from Sarah Jessica Parker’s imprint, SJP for Hogarth: a deeply affecting debut novel set in Trinidad, following the lives of a family as they navigate impossible choices about scarcity, loyalty, and love“Golden Child is a stunning novel written with force and beauty. Though true to herself, Adam's work stands tall beside icons of her tradition like V.S. Naipaul.”—Jennifer Clement, author of Gun LoveRural Trinidad: a brick house on stilts surrounded by bush; a family, quietly surviving, just trying to live a decent life. Clyde, the father, works long, exhausting shifts at the petroleum plant in southern Trinidad; Joy, his wife, looks after the home. Their two sons, thirteen years old, wake early every morning to travel to the capital, Port of Spain, for school. They are twins but nothing alike: Paul has always been considered odd, while Peter is widely believed to be a genius, destined for greatness.When Paul goes walking in the bush one afternoon and doesn't come home, Clyde is forced to go looking for him, this child who has caused him endless trouble already, and who he has never really understood. And as the hours turn to days, and Clyde begins to understand Paul’s fate, his world shatters—leaving him faced with a decision no parent should ever have to make. Like the Trinidadian landscape itself, GOLDEN CHILD is both beautiful and unsettling; a resoundingly human story of aspiration, betrayal, and love. Would you sacrifice one child to save another? That's the question at the heart of Claire Adam's insightful debut, GOLDEN CHILD, set in Trinidad in the 1980s.... Adam, a native Trinidadian who now lives in London, has taken a shopworn theme --- the child-in-peril story --- and given it new life. The result is both a gripping page-turner and a book about the heavy responsibility of parenthood and the ways that family ties bind and burden us.... In the background of it all is the vividly rendered landscape of Trinidad, with its soft sand beaches, leafy bush and swaying coconut palms. It's a place of both great beauty and troubling inequality, where scarce resources force people into impossible decisions, as Adam shows with devastating clarity. 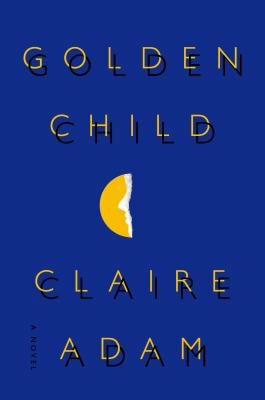 The title of Claire Adam's emotionally potent debut novel, Golden Child, is deliberately ambiguous.... Golden Child isn't thick with the rich socio-political detail that marked the work of Trinidad's most famous novelist, the late V.S. Naipaul. But with a spare, evocative style, Adam (a Trinidad native) evokes the island's complexity during the mid-'80s... That failure of compassion makes the novel all the more bracing in its closing chapters, which reveal the truth about Paul's disappearance and Clyde's agonizing decisions in response to it.